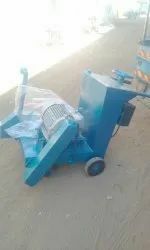 Our product range includes a wide range of concrete cutting machine, groove cutting machine and road cutting machine. Blade Capacity 14" TO 48"
We are the leading manufacturer and supplier of ConcreteCutting Machine. Obtained from extreme quality raw material, our cutting machines are more durable in nature and bear robust hard frame. These floor cuttings are available in different small and medium sizes as per the requirements of the clients. 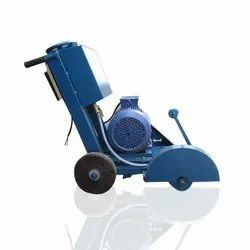 Our 5 HP Diesel engine Concrete Road and Floor Cutting Machines ensure high performance and perform optimum in low energy consumption. We have gained expertise in offering an impeccable range of Groove Cutting Machine. Manufactured superior quality raw material procured from the reliable vendors of the market in accordance with international quality standards, these products are extensively used in various construction industries. Owing to their excellent performance, superior quality and longer service life, these products are highly demanded by the customers. PRINCIPLE Expansion Joints in the concrete are designed to allow the expansion and contraction of the Concrete. Expansion Joints thus are necessary for concrete roads and concrete flooring so that cracks should not be developed in future, Also the joints help in reducing Cracks in concrete. Our Groove cutter is ideal equipment for cutting hard concrete: asphalt, Pavement cut, trench cutting etc. Depth cutting adjusted by whel or with the hydraulic system.